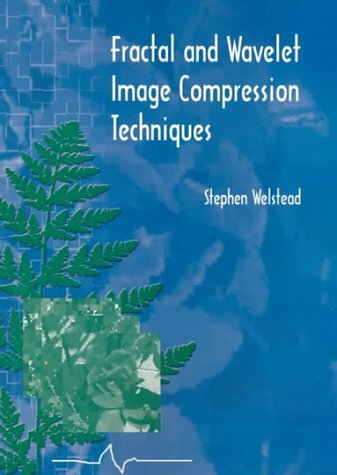 Interest in image compression for Internet and other multimedia applications has spurred research into compression techniques that will increase storage capabilities and transmission speed. This tutorial provides a practical guide to fractal and wavelet approaches--two techniques with exciting potential. It is intended for scientists, engineers, researchers, and students. It provides both introductory information and implementation details. Three Windows-compatible software systems are included so that readers can explore the new technologies in depth. Complete C/C++ source code is provided, enabling readers to go beyond the accompanying software. The mathematical presentation is accessible to advanced undergraduate or beginning graduate students in technical fields. Excellent as a tutorial ! This book is very good to be a tutorial or an introduction to this field. The presentation is simple and you can follow it easily. I had project on this topic exactly, and I learned much from it. Differential Equations on Fractals opens the door to understanding the recently developed area of analysis on fractals, focusing on the construction of a Laplacian on the Sierpinski gasket and related fractals. Written in a lively and informal style, with lots of intriguing exercises on all levels of difficulty, the book is accessible to advanced undergraduates, graduate students, and mathematicians who seek an understanding of analysis on fractals. Robert Strichartz takes the reader to the frontiers of research, starting with carefully motivated examples and constructions. One of the great accomplishments of geometric analysis in the nineteenth and twentieth centuries was the development of the theory of Laplacians on smooth manifolds. But what happens when the underlying space is rough? Fractals provide models of rough spaces that nevertheless have a strong structure, specifically self-similarity. Exploiting this structure, researchers in probability theory in the 1980s were able to prove the existence of Brownian motion, and therefore of a Laplacian, on certain fractals. An explicit analytic construction was provided in 1989 by Jun Kigami. Differential Equations on Fractals explains Kigami's construction, shows why it is natural and important, and unfolds many of the interesting consequences that have recently been discovered. 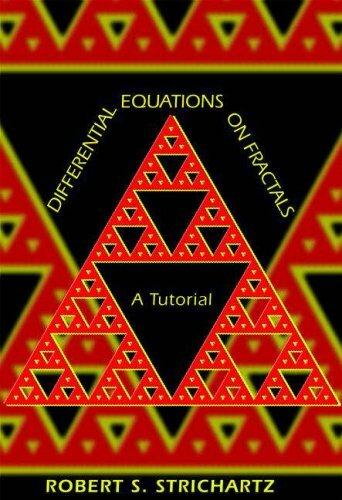 This book can be used as a self-study guide for students interested in fractal analysis, or as a textbook for a special topics course.